China is a big culinary and cultural country, for a long time in a certain region due to geographical environment, climatic properties, cultural traditions and national customs and other factors, the formation of a certain degree of affinity inheritance relations, dishes similar flavor, high visibility, and for some people like the local flavor of famous schools known as the cuisine. Key words: cooking, unique flavor, all tastes, superb technology, comprehensive techniques, a wide range of materials used. Shandong cuisine, with its long history and wide influence, is an important part of Chinese food culture. It has become one of the four major cuisines in China. It is famous for its salty, fresh and crisp taste, unique flavor and fine production both at home and abroad. Gaoyang Taishou Jia Sixie in the Northern and Southern Dynasties in his book "Qi Min Yao Shu" on the middle and lower reaches of the Yellow River region of cooking a more systematic summary of many famous practices, reflecting the development of Shandong cuisine superb skills. Tang Dynasty Duan Wenchang, Shandong Linzi. Shandong is the ancient state of Qilu. Seafood aquarium, grain, oil and livestock, vegetables and fruits, insects and game are readily available to provide a wealth of material conditions for cooking. The exquisite cooking skills of Shandong cuisine are also widely promoted. The unique flavor of Shandong cuisine, distinctive personality, its flavor and skills through the north and south, especially popular in the north. Especially explode, fry, burn, fry, slip, steamed, grilled, paste, its flavor salty and fresh palatable, fragrant, crisp, tender, decoction and monosodium glutamate, self-contained, adaptable. In its long-term development process, Lu Cai has accumulated a set of cooking techniques, among them, especially in order to blow up the most. Seasoned vegetable oil thickens the sauce, hangs the juice evenly, has the juice not to see the juice, the dish disappears completely. Eating, fresh and crisp, refreshing and not greasy. "Collapse" is a kind of cooking quality unique to Shandong. The main ingredients of the fallen vegetable should be marinated with seasonings beforehand, flavoured or sandwiched with egg paste, then soaked with powder or hung with egg paste on both sides to make the soup, add the golden brown sauce, add the seasoning, add the seasoning when the sauce, add the sauce, add the sauce. Widely spread throughout Shandong "pot collapse fish belly", "pot collapse yellow fish" and so on, are for a long time for the people of the traditional dish. Shandong soup as the source of fresh, focus on the use of soup, refined in the soup, especially pay attention to "clear soup", "milk soup" of the modulation of clear and fresh. Each of the gourmet dishes in the restaurant is a delicacy. The seafood cooked in Shandong cuisine is also unique. It is particularly excellent in the preparation of seafood and small seafood. In Shandong, all seafood, be it ginseng, wing, swallow, shellfish or squash, broth, shrimp and crab, are prepared by local chefs with their own hands. Cooked with small seafood "oil explode double flower", braised conch, fried oyster yellow, "leek fried worm saint", scallion fried mullet, chrysanthemum crab and also made with rare products "crab yellow shark fin", "abalone shell", "rust-beaded dried scallops", "sesame sauce purple-abalone", "chicken braised fish bone" is also good in the process of fried onion sauce, fried onion sauce, etc. Such as Roast Duck, Roast Suckling Pig, Boiled Elbow, Fried Lipid Cover, etc. with the use of onion, are all part of it. As a result of the development of science and technology, vegetable oils have been widely used, gradually evolved into a fat stir-fry, slippery, slightly, popping and other cooking vegetables, in addition to this method divided by the onion flavor, but also use its ventilation, dispelling wind and greasy, widely used in modern people. Quancheng Jinan, Jinan has not since the provincial governance, Jinan's cooking provinces, the use of rich resources, the comprehensive inheritance of traditional skills, extensive absorption of field experience, the East Road Fushan, South Road Jining, Qufu cooking skills into one, will be all over the superb and perfect realm of cooking materials, high is to Shanhai flavor, as low as well as poultry and vegetables, bean curd. Yantai and Qingdao are located in the beautiful Jiaodong Peninsula and are famous for their cooking. The poultry and egg dishes of Luxi and Lubei, the vegetarian dishes with bean products as the main raw materials, and the meat and fish dishes with Qi heritage in the central part of Lu have their own characteristics. Cantonese cuisine, also known as "Cantonese Cuisine", is one of the four major cuisines in China. Cantonese cuisine was recorded in the Western Han Dynasty. Bao Zongshi was influenced by the imperial chef following the Yangcheng, and developed rapidly in the Ming and Qing Dynasties. In the 20th century, with foreign communicators absorbing certain skills of western cuisine, Cantonese cuisine was introduced to the world. Generally light in summer and autumn, heavy in winter, the Cantonese menu is colourful and colourful. The cooking technique is excellent and is known for its wide range of ingredients. It is roughly estimated that there are thousands of kinds of ingredients used in Cantonese cuisine. Domestic livestock, shui ze fish and shrimps used in various cuisines are used everywhere, while snakes, rats, cats, dogs and wild animals are not used everywhere. The mountains have the names of turtles, pigs and cooked, sturgeon lips, alive and well, said the soul of the fish. When the snake will catch, regardless of length; when the rat will catch, regardless of size. Hateful of the bat, clams can be feared, locusts of micro-organisms, all taken and prawn food; beehive of poison, hemp of insects of eggs, fried prawns of the wind of the wind. When Han Yu was demoted to Chaozhou in the Tang Dynasty, he was surprised to see dozens of foreign substances such as turtles, snakes, octopuses and frogs consumed by the local people. He was afraid that "the more the fishy starts, the more the sweaty the noodle." The development until now, abalone, cucumber, wing, tripe and sea delicacies are still unique in Cantonese cuisine. Snake oil contains linoleic acid and has the effect of maintaining blood vessels do not harden. Therefore, Chinese medicine has always regarded snake meat as an important medicine to dispel wind and blood circulation and to remove cold and dampness. The wide variety of materials used in Cantonese cuisine can make full use of food resources for the benefit of mankind. Fried, fried, fried, tangerine, steamed, stewed, stewed, and so on are commonly used in Cantonese cuisine; and many local dishes do not use the citrus, coffee, soft fried, soft fried, etc. Cantonese cuisine is unique attainments. Therefore, a wide variety of Cantonese specialties in the foot heavy light. The dishes are rich in colour and not greasy. They are famous for cooking wild animals such as snakes, filth, cats, dogs, monkeys and rats. Famous dishes include "Three Serpents", "Five Serpents", "Snake Oil Beef", "Roast Suckling Pig", "Fried Shrimp Rolls" and "Winter Gourd". "Land of Abundance" Sichuan with its unique products to form and develop one of China's major cuisines-Sichuan cuisine. Sichuan cuisine in the late Qin and early Han Dynasty began to take shape. Tang Song period of rapid development, Ming and Qing Dynasties have been rich in fame. Now Sichuan cuisine all over the world. Sichuan authentic Sichuan cuisine to Chengdu, Chongqing dishes produced by the vast number of the people and the development of the history of food, not only to sum up the story. "Boiled beef", for example, is the Northern Song Dynasty Qing Li years, thick Fushun, Cha County area well after being eliminated, salt workers often used salt and pepper as seasoning, cooked beef to eat. After the continuous improvement of chefs to become today's Sichuan cuisine in the traditional delicacies. Again, such as "Mapo," is a hundred years ago, from Chengdu, the north side of the small Fuqiao Wei-feng Nen, the name of the folk cooking methods. Chengdu so far seems to have "Chen Mapo Tofu live", customers Yingmen, full of seats. Based on the experience of chefs over the years, Sichuan cuisine to absorb the cooking skills of the Northwest and the advantages of official, business dinner dishes, hunting selection, take the long and short. The so-called Beichuan cooking, southern Sichuan flavor. In the fin, sea cucumber cooking methods are often used in the dry dishes, "fried with light sauce." Sichuan "Maotou Hotpot", its ingredients, seasoning, hotpot are unique flavor, unique characteristics, not only hot and spicy, and all the year round, whether in several cold winter or summer heat, are a favorite among Sichuan cuisine. Sichuan cuisine in one of the senior banquet. Ordinary banquet, then the public and family dishes are widely known as the flavor, Sichuan flavor. When the commonly used flavor types are salty, salty, sweet, fishy, bean petal, homely, red oil, spicy, peppers spicy, sesame, pepper, strange taste, ginger juice, garlic, paste, hot and sour, sweet and sour, sesame, mustard, lychee, sesame sauce, onion oil and other 20 kinds of dishes. In particular, emphasis on the use of spicy taste diversity, especially heavy fine. Seasoning is flexible, unique. Pepper is a universal seasoning, used throughout the country. However, Sichuan chefs do use chili unique. Not only in the use of green pepper, red pepper, fresh pepper, soya bean paste, spicy plate noodles, chili and other points, and pepper, ginger, ginger, red onions and other special combination of the formation of fish sauce, spicy sauce, chili, chili, chili, chili, vinegar, the formation of the formation of 10 million flavor, chili. According to the different thick materials, depending on the material. Therefore, the human system value, respectively, take color, take shape, take flavor, ingenious coordination, refined cooking. Sichuan cuisine cooking methods, pay attention to knife, fire, thousands of changes. Qing Dynasty Qianlong years, Sichuan Luojiang County, Li Tiaoyuan in the "Correspondence to the sea, Xingyuan," summed up the cooking method of Sichuan has 38 kinds of people. However, due to the succession and development of provincial chefs, there are still popular fried, fried, fried, fried, marinated, smoked, bubble, steamed, slipped, simmered, boiled, stewed, rolled, chu, fried, cooked, Meng, paste, stuffed, crisp, bad, wind, drunk, etc. 30 kinds of attention to steamed, pay attention to specifications, color matching vegetables, pickled, spicy, spicy pepper, the main dish, which is a unique characteristics of sweet, spicy, spicy, spicy, spicy, spicy, spicy, spicy, spicy. Szechuan cuisine is good at roasting, roasting, sauting and steaming. Szechuan cuisine is good at using a combination of flavors and thicker juices. On the basis of salty, sweet, hemp, spicy and sour seasonings, they work together to form a variety of complex flavours, such as homemade, salty, fish flavor, lychee flavor and odour. 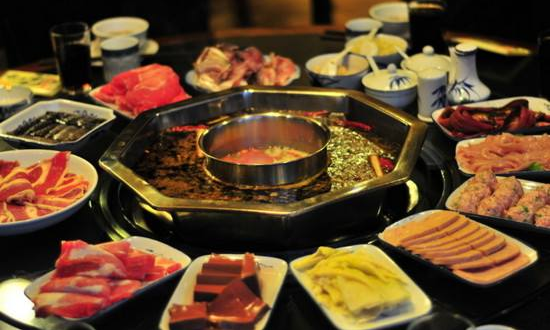 Huaiyang Cuisine is represented by local dishes from the three regions of Yanjiang, Yanhuai and Weizhou. It is characterized by simple materials, fire stress, heavy oil color, mellow taste and original taste. Chinese food culture has a long history. Huaiyang Cuisine, one of the four major Chinese cuisines, is famous for its unique historical style and individuality. Huaiyang Cuisine in the selection of materials, pay attention to a wide range of materials, nutrition deployment, sub-file materials, due to the application of materials, reflecting a strong scientific; in the process of culinary pyrotechnics pay attention to changeful, good at burning, stewing, stewing; in the modeling, pay attention to the organic combination of color utensils, showing exquisite artistry; it is to simmer taste a common characteristics of sweet taste: mellow, stewed eggs, fresh, fresh meat, fresh and fresh, chicken ; Adapted to a wide range of dishes Yali style, quality and beauty, crisp and crisp without losing its type. Smooth and crisp taste. Jiangsu known as fish head, combined with the benefits of the seafood, food resources are very rich Huainan dishes to light and long, taste and north and south, of which Yangzhou dishes are known for food splendor, craftsmanship, market reputation, praise. Famous dishes include "Fu Li roasted chicken", "Ham stewed turtle", "fresh osmanthus", "Ham stewed vermicelli", "Snow winter roasted mountain chicken", "Braised fruit beaver", milk fat king fish, "orchid abalone", grilled pig head, "the first ball", "Horseshoe mandarin", "Choi pond", "butterfly gourd", "gourd", "gourdances,"gourd", ", "gourd"gourd", " gourd. With the development of China's economy, Chinese cuisine will continue to develop, innovate and grow.